Impulsive and idealistic in love and friendship, Aries seeks romantic partners and friends who are challenging, playful, energetic, creative, and exciting. Aries are as impulsive and idealistic about love as they are about everything else. They jump into love affairs without thinking things through, and they put their partners up on pedestals, setting themselves up for disappointment. When it comes to romantic pursuits, some Aries enjoy the chase more than the relationship, so they frequently seek new conquests. On the other hand, their trusting natures can leave Aries vulnerable to abuse. Aries need change, variety, and novelty in their interactions, and they will become very restless if they do not get them. If things become too routine, Aries may wander off in search of more unpredictable companions. However, this will not necessarily take the form of infidelity in a romantic relationship. Aries may just seek out the company of friends they find more exciting while staying within a relationship that is not entirely fulfilling. Aries respects assertiveness and the willingness to take physical or psychological risks. Ideal companions will challenge their Aries friends or lovers with physical or creative competition or intellectually stimulating debate. Although they are extremely generous with their time, energy, and money, Aries are inclined to put their own emotional needs first. 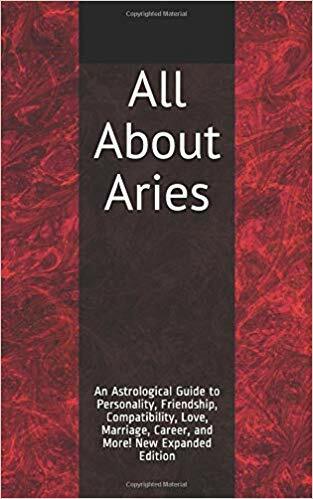 If friends or lovers want to discuss their feelings at length, Aries may be unsympathetic or even irritated by the emotional outpouring (Aries understands the explosive emotional exchanges that occur in the midst of an argument, but has no patience for thoughtful, prolonged analyses of feelings and relationships). To make matters worse, Aries is not known for diplomacy, and a tendency toward blunt speech can cause hurt feelings. Also, some Aries are controlling or bossy, though they may not always be aware of it. When friends or lovers require any sort of tangible help, Aries will usually rise to the occasion because this sign has an altruistic streak, which means Aries are not only inclined to help others, but will do so even at great personal cost or risk. Aries can be counted on to give, share, and assist, even if they have to make personal sacrifices to do so. While Aries may not meet the emotional needs of their companions, they will work hard to provide any practical assistance required. Aries are very passionate in their romantic relationships, and although they are not always sympathetic about other people’s feelings, they tend to be unhappy with emotionally reserved or unaffectionate partners. Aries are quick to anger and equally quick to forgive, and they express all of their own feelings (even the ones that should probably be hidden for diplomatic reasons). Aries do not understand emotionally cautious people or those who bottle up their feelings rather than releasing everything in the moment. They may become pushy or even combative with more emotionally repressed individuals just to get the other person to open up, and this can cause problems in their relationships. On the positive side, the lively, vibrant, feisty, playful Aries nature keeps things interesting, fresh, and fun in a relationship, provided friends and lovers can tolerate a bit of rudeness or pushiness from time to time. The sun sign isn’t the only element that influences personality. Aspects and planetary placements, particularly the moon sign and rising sign (ascendant), are also important. For example, an Aries with Virgo rising will likely be more cautious and practical, and with Libra rising, the Aries will be more of a peacemaker and less of a fighter. Having the moon in Cancer will make cozy domesticity more important to an Aries and bring out this sign’s creative side, while an Aries with Capricorn rising will be less impulsive and passionate but more thoughtful and diplomatic. There are many websites that offer free astrology chart calculation to determine other planetary placements and aspects. Learning these other planetary placements is recommended, as it provides a more comprehensive personality profile. For more on Aries, see the Aries Personality Profile. To see personality and compatibility profiles for all the sun signs, visit the main Astrology page.